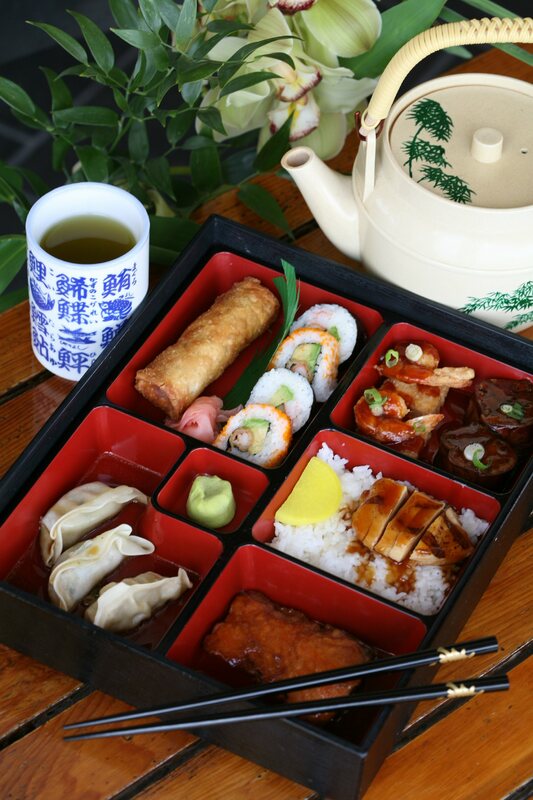 December doesn’t seem like the time for iced green tea and hot miso soup. No, it’s the season of pumpkin pie and mulled cider. Unless, of course, you live in South Florida – home of record temperatures. We sit in front of our TVs, watching blizzards and icy roads wreak havoc on our northern neighbors with the A/C running. It’s hot outside down here! But not too hot to take in the outside dining pleasures of the Cornell Café. I was there a few days ago, sitting on the patio overlooking blue skies and the greenery of Roji-En. Me and about 25 others had figured out that the humidity had lessened and the rain had abated long enough for us to really enjoy an al fresco menu of Asian cuisine. One iced green tea, bowl of miso soup, shrimp tempura roll and eggplant entrée later, I was perfect – just like the weather. Yeah, yeah, yeah – I know it’s time for eggnog and carols on yuletide something or another. But if you live near me, it’s also time to eat outside at the Cornell Café before the bugs, dark clouds and oppressive stickiness of summer days return. A table has your name on it. A bento box features a sampling of the Cornell Cafe menu. Outside dining in December at the Morikami? No sweat -- literally!